L. H. Charney Associates integrate art and cultural initiatives into its buildings. 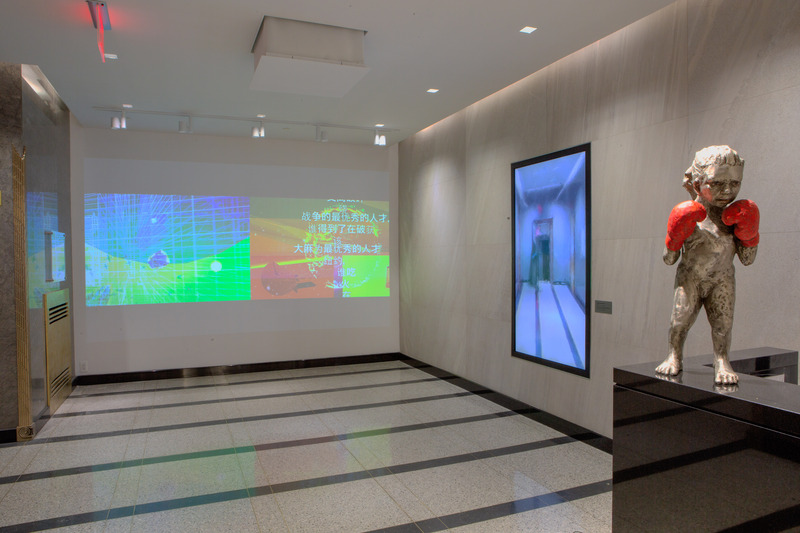 Three large-scale interior monitors that react and respond to the presence and point of view of the viewer. 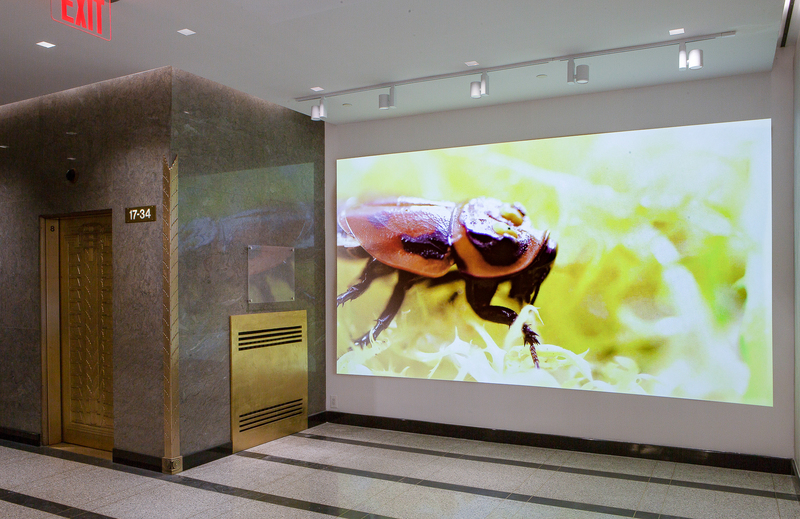 And additional plasma monitor faces Broadway which captures the intrigue of passersby and often leads to a “selfie”. 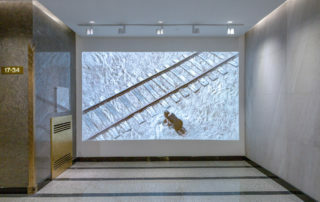 As an interactive artist, Rozin creates installations and sculptures that have the unique ability to change and respond to the presence and point of view of the viewer. In many cases, the viewer becomes the contents of the piece and in others, the viewer is invited to take an active role in the creation of the piece. 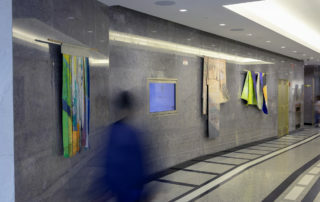 By Julio del Rio and Karen May as part of the California-based non-profit Nurturing Independence through Artist Development (NIAD). 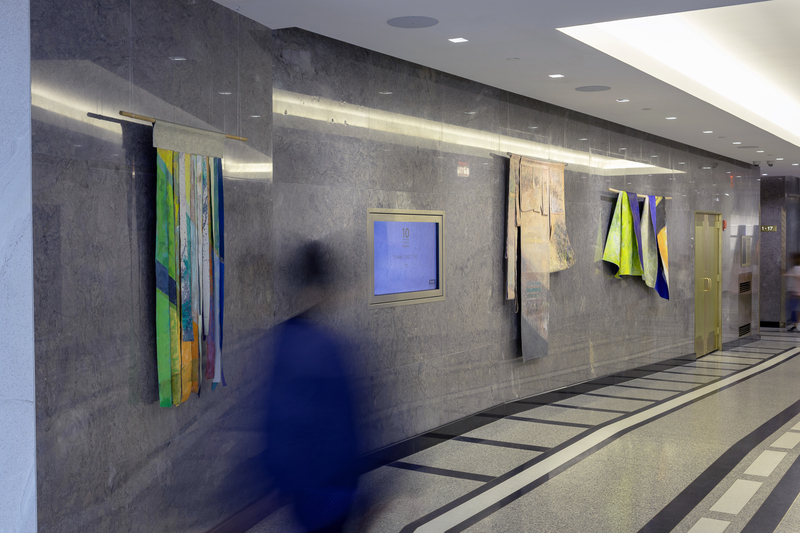 NIAD works with developmentally-challenged adults to promote creative expression, independence and community integration. 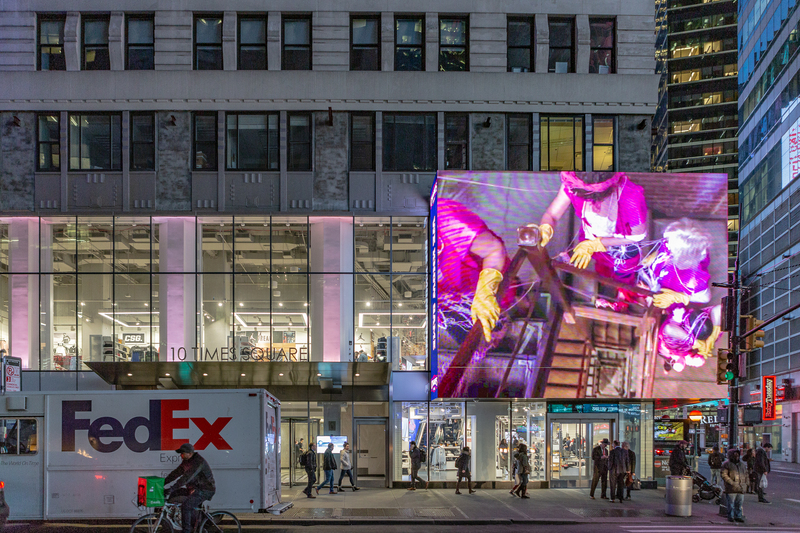 10 Times Square seeks to encourage garment center donations of fabric excess to NIAD in support of the program. 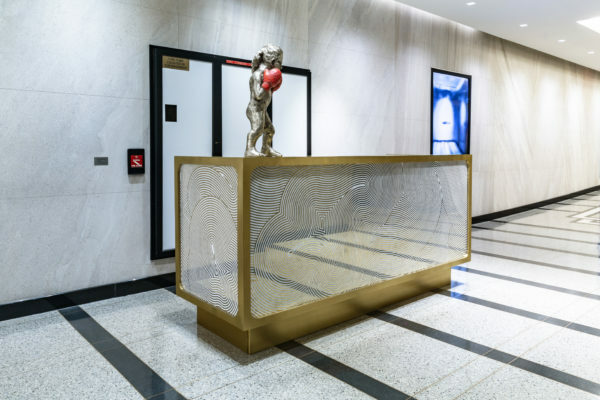 By New York-based sculptor and painter Claudia Alvarez; oil on bronze life-like sculpture at the front desk. 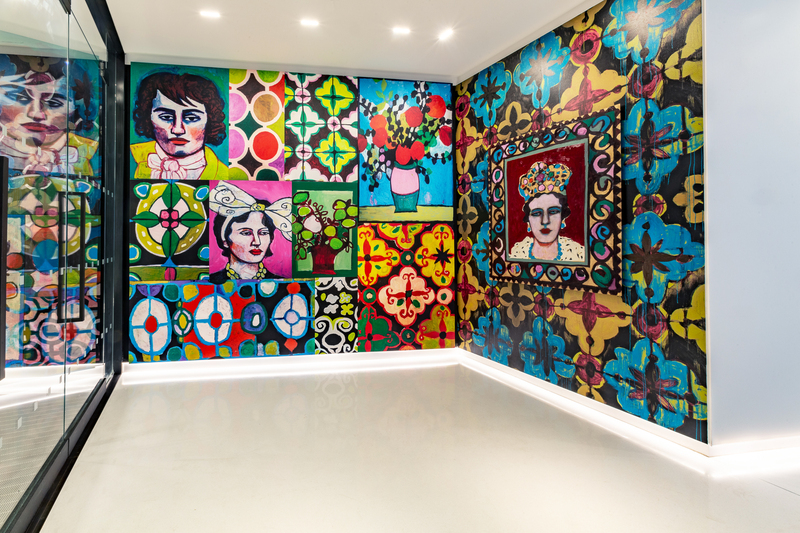 Claudia Alvarez (Mexican-American) is a painter and sculptor currently living in New York City. 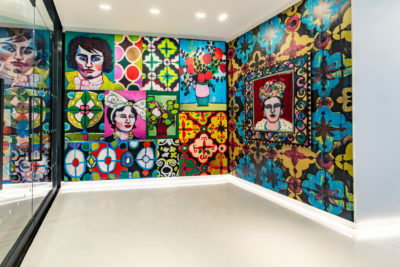 Born in Monterrey, Mexico in 1969 and raised in California from the age of three, she received a BA from the University of California, Davis in 1999 and an MFA from California College of Arts, San Francisco in 2003. 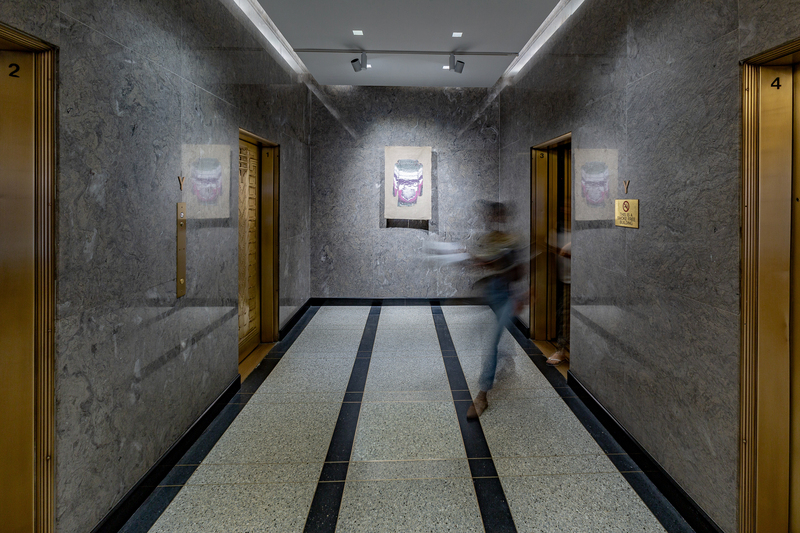 Designed by artist Stephanie Odegard and fabricated by hand in India using white marble and hand-inlaid cut brass. 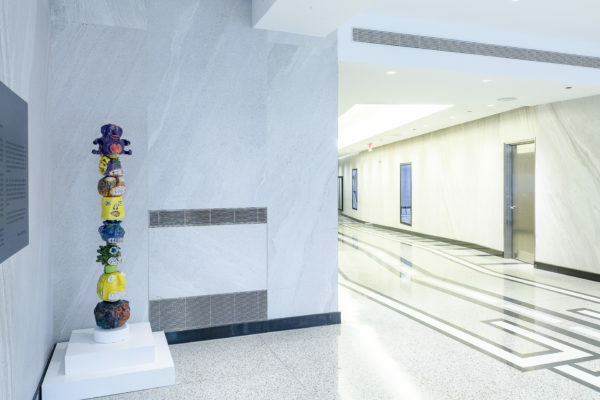 Stephanie Odegard has been involved in assisting developing countries to promote and preserve the traditional artisanal crafts since she served in the Peace Corps in Fiji in 1976. 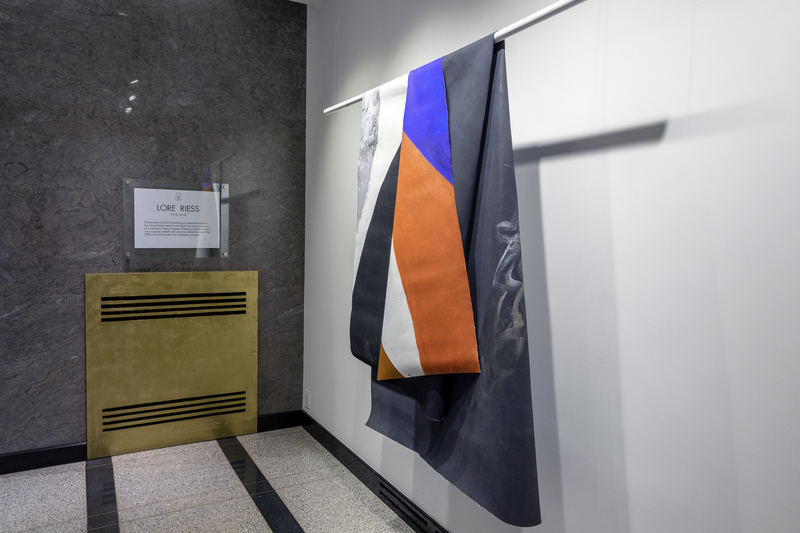 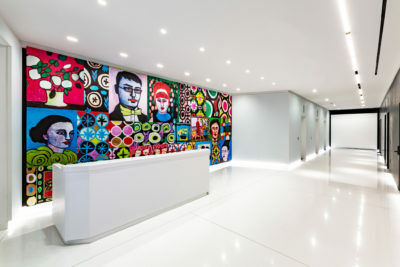 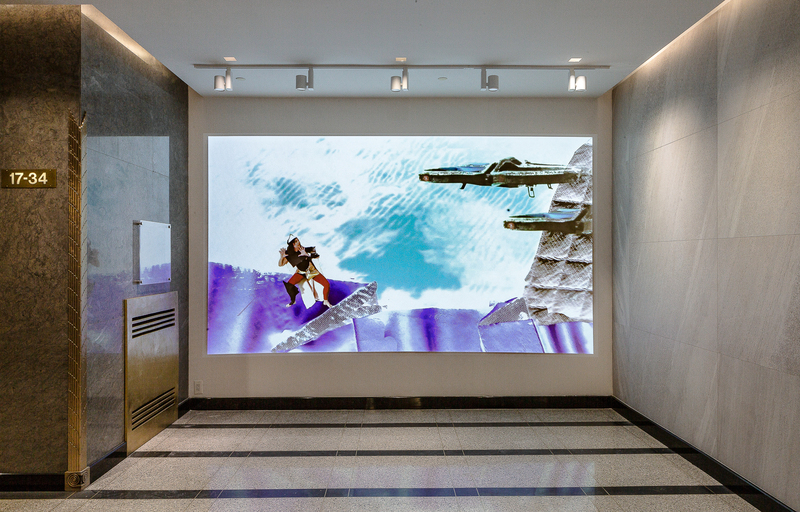 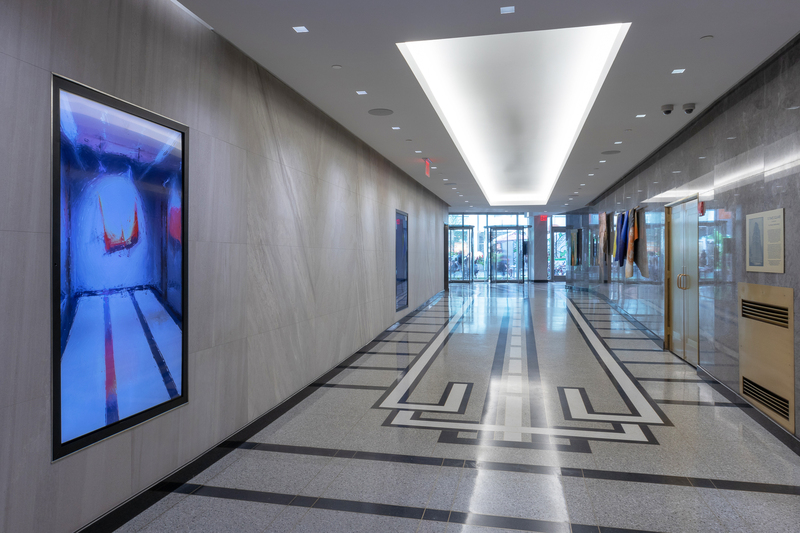 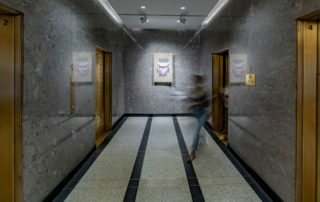 The 10TS lobby was designed to provide “gallery walls” for ZAZ10TS art programming—the ongoing cultural initiative that seeks to integrate a rotating program of art into the building and its immediate exterior environment. 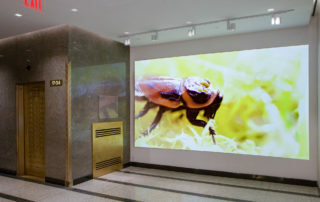 The gallery wall serves multiple functions and has various display capabilities that include paintings, sculpture, visual presentation, as well as video and audio. 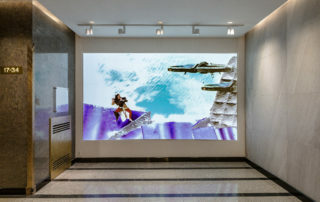 Images Row 1: Sara Berman “Between Community and Commerce” Exhibition | Row 2: Video Art “24:7”, test the power of video art to meaningfully engage the public | Row 3: Lore Riess Exhibition. 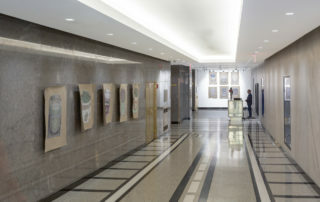 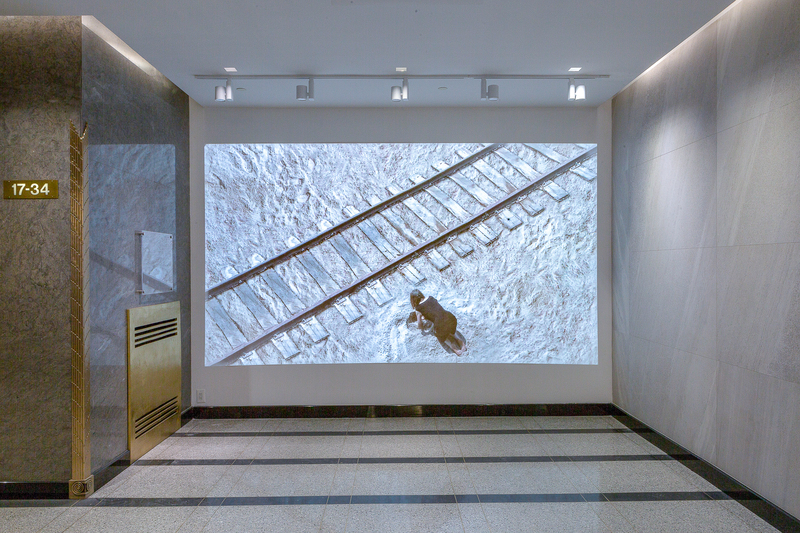 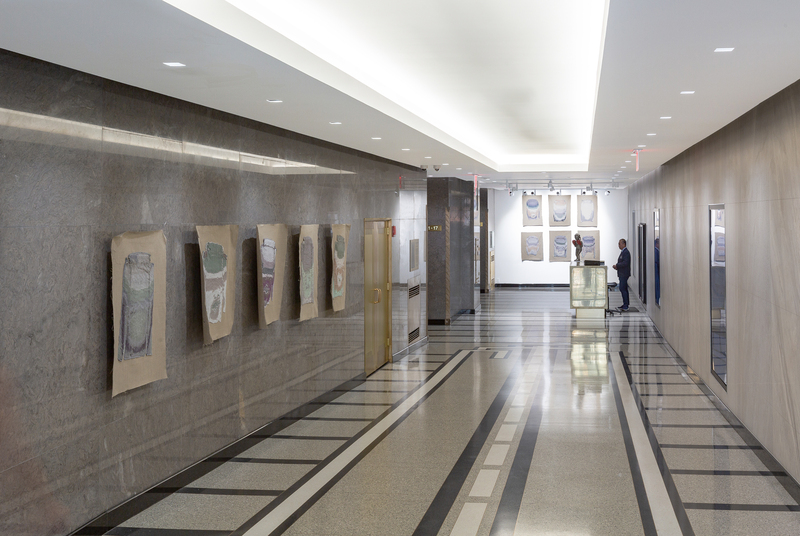 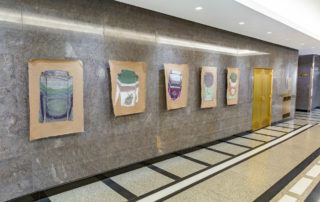 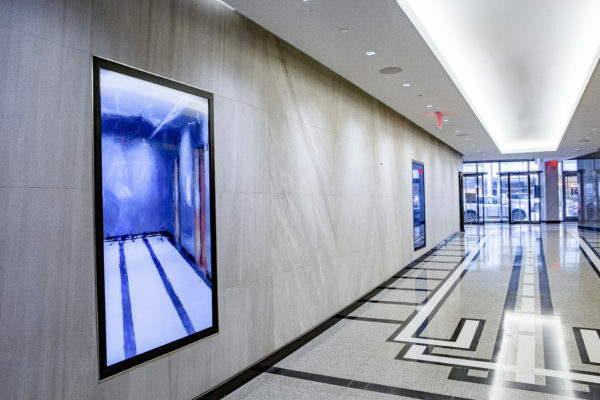 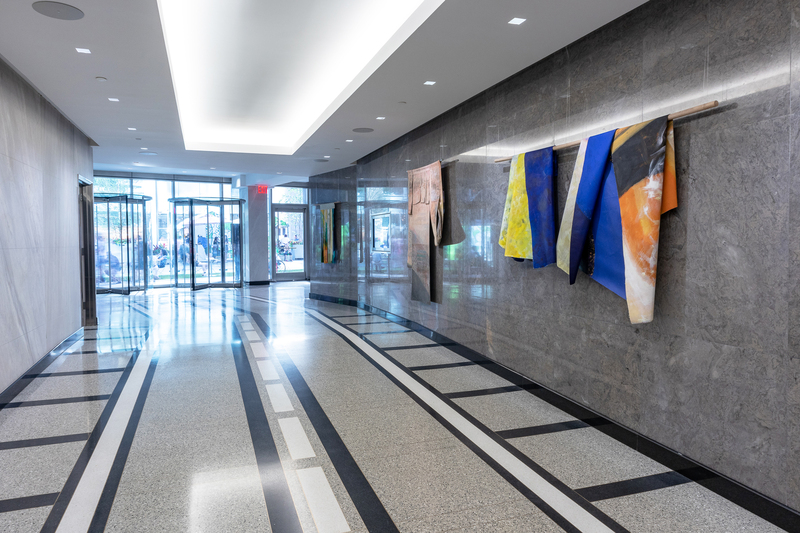 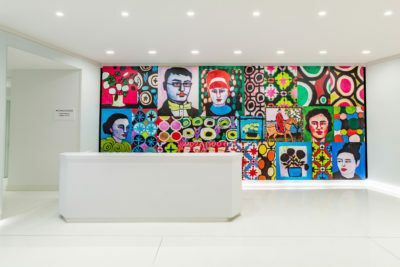 The newly renovated lobby of 1410 Broadway features the paintings of Basmat Levin and NIAD ceramic and mixed media sculptures. 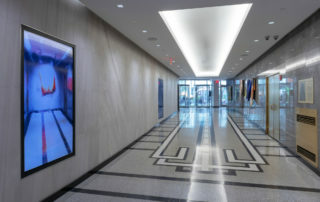 The lobby is still in renovation and expected to be completed by end of 2018. 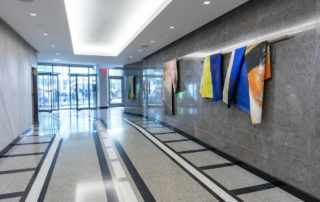 ZAZ10TS employs the building’s façade, lobby interior, and immediate environment to bring art and culture to the building’s community, visitors, and passersby. 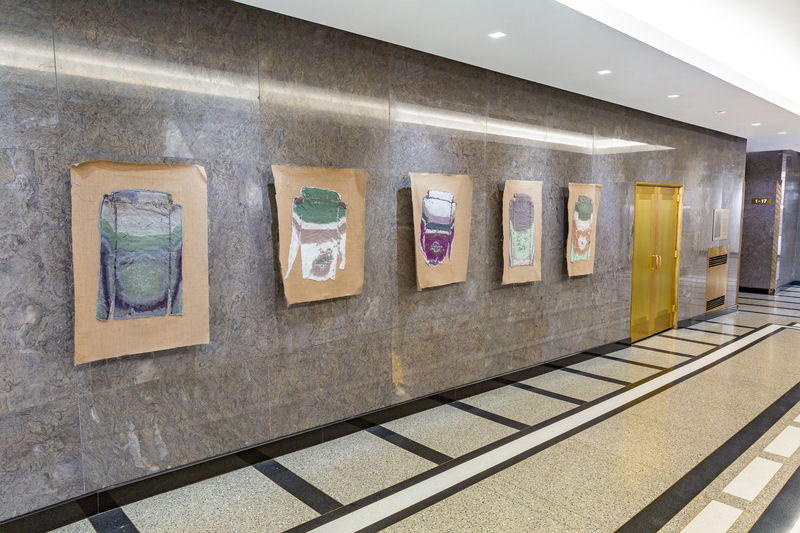 ZAZ10TS takes pride in scouting and showcasing young and emerging talent. 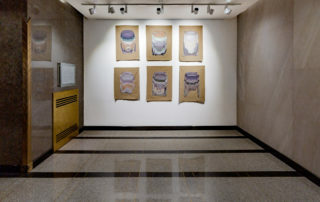 Visit ZAZ10TS.com for detailed exhibition and project info.